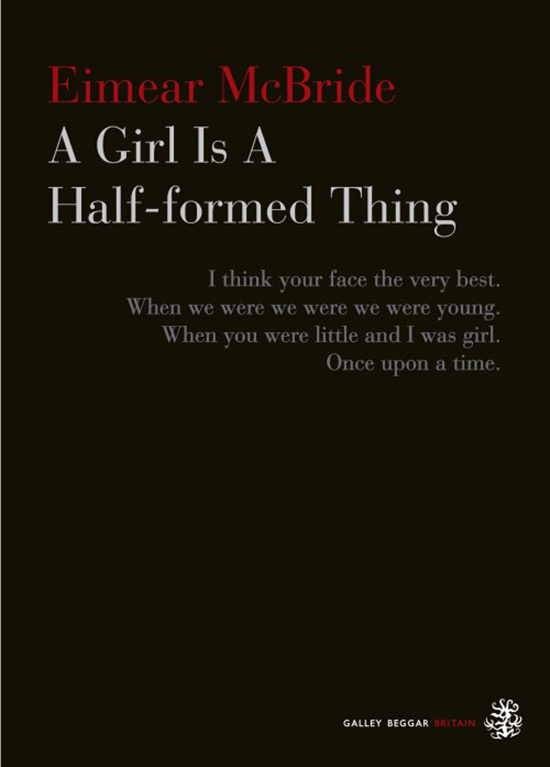 I'm going to blame Mercury retrograde for this one: I accidentally obtained two extra copies of Eimear McBride's book A Girl Is A Half-Formed Thing and the (very kind) publisher told me to keep the extra copies. I've decided to give them away. To you. I want to make sure it's your cup of tea, though, so please do take a moment to read this review over on TLS or this one from the Indo. I haven't read my own copy yet, so I can't add to these reviews. My interest was obviously piqued by the references to Joyce and, especially, Beckett in these reviews. But just as much by the female perspective (I also thought of Maggie Nelson when reading these reviews). I'm excited to read the book. I'm also excited to send copies to two readers in any location. Leave a comment to be included in the random selection. Please make sure your profile links to some contact information or include it in the comment! I'll make the selections on Friday at noon EST.